State Government-funded rebates or subsidies and Federal financial incentives for installing solar would prompt many to think, what are the benefits of installing solar, what will it do for me? Here are the benefits of installing solar explained. The foremost benefit for installing solar is to see a reduction on your energy bills. Your savings from installing solar will appear on your energy bill when you are using less energy from the grid. This reduction is a result of you using the energy that you generate primarily and when the sun goes down, using the grid to power the home. When you install solar, you will also have monitoring software installed to give you all the information of what is going on with your system at any time of the day. With this software, you will have the information available to tell you how much energy you used over a given time period, when you used energy and how much energy was sent to the grid – all elements of your energy bill and now you have facts to verify your energy charges instead of relying on meter reads. Often, customers are charged on an estimated meter read and not an actual read, energy monitoring software will give you the power to know how much your energy spend is. With the information from your energy monitoring software, you will accurately know exactly how you use energy. With this information, you can then make behavioural changes to better use your own solar energy and energy from the grid. You will see when there are spikes in energy consumption and make judgements on changing behaviour to use more of your solar energy. An incentive to install solar by the government is state-mandated feed-in credit schemes; which essentially pays you for the energy that your system produces but you don’t use. If, like many households you find that occupants aren’t in the home during the day, whether they be at school, work or out and about, your solar system will continue to produce solar energy regardless. 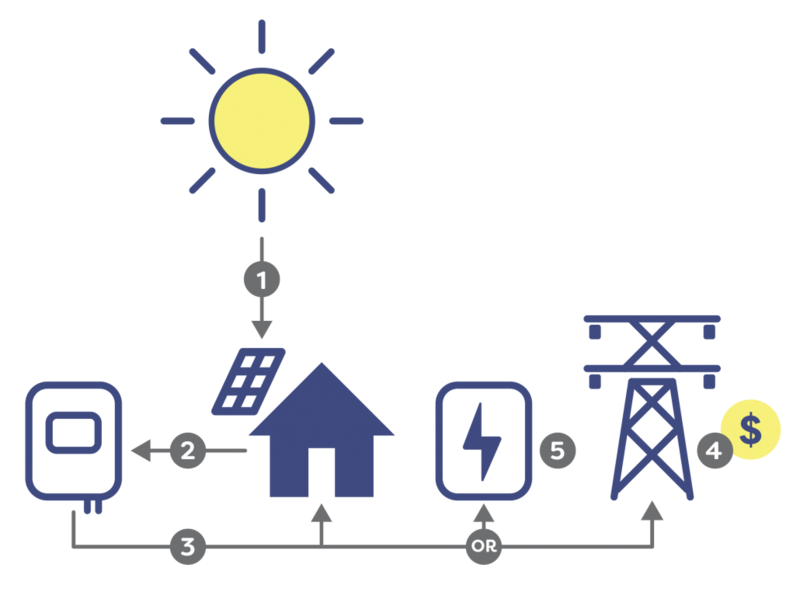 Being grid-tied, if the energy isn’t being used at the time, the energy is automatically sent to the national grid and is distributed where needed. As a thanks for helping generate power for the grid, you are paid a state-mandated feed-in tariff for each kilowatt hour (kWh) of energy sent to the grid. This rate changes by state and is set at a minimum. It’s always best to check with your energy retailer to see if they can increase your tariff. This feed-in tariff appears as a ‘credit’ on your energy bill and is then taken off your energy charges for that billing period. The amount of energy exported to the grid is tracked by your energy meter and can also be accessed through your energy monitoring software. … now you have facts to verify your energy charges instead of relying on meter reads. By generating your own energy with rooftop solar, instead of importing all your households’ energy to use, you can use the energy that your solar has generated for yourself. During the day while the sun is out and the solar is generating power, you can power your household’s appliances with the sun and need not worry about the amount of energy used. By using less energy from the grid, you will find that you are reducing your energy bills as you aren’t charged for using your own solar energy. Long after the system has paid for itself in savings, your solar will continue to produce energy for your house to use. 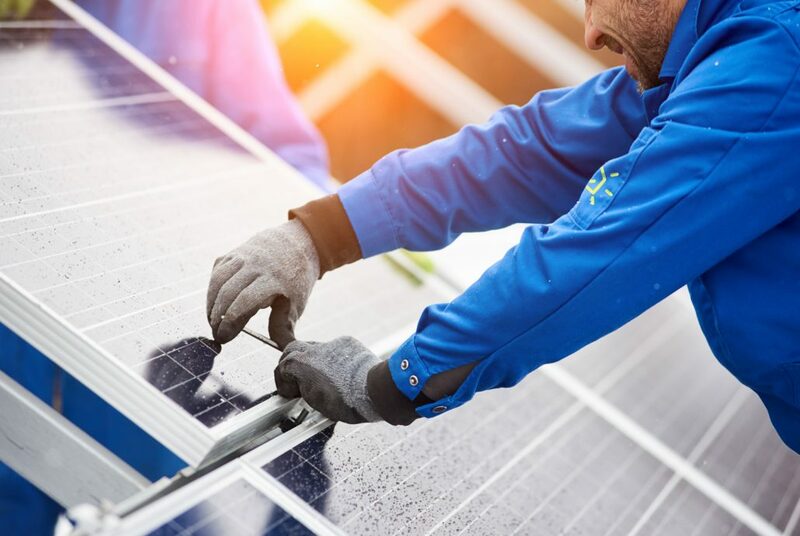 A hot political topic now is reducing the Australian households’ energy prices, as such many states have implemented solar incentive schemes to reduce the upfront cost of installing solar for homeowners. The Victorian Government have recently implemented a solar panel rebate for eligible homeowners. Do your part in being climate conscious, our Earth’s resources aren’t unlimited, but the sun will be around for a very long while. Solar generates clean energy and is a renewable energy resource available to homeowners and businesses to easily adopt. 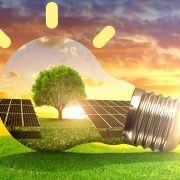 By generating your own clean, solar energy you can do your bit in reducing your reliance on energy sourced from non-renewable energy sources that will eventually run out. Solving the dilemma to solar is to use the solar energy in the evening, when energy prices are at their peak. If you aren’t home during the day, instead of sending all your energy to the grid, you can store it in a battery and when you get home, use that free, solar energy. 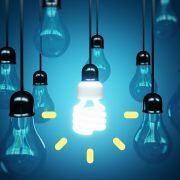 Why let the disruption of the grid affect your lifestyle? You shouldn’t be put on hold because the grid is out of order. Solar batteries fitted with blackout protection do exactly as its namesake – protects your home from blackouts with solar. When a grid outage is detected by your inverter, your battery blackout protection will kick in, to power your home during the blackout. The Goanna solar battery is fitted with blackout protection to get you back on your way while the grid is experiencing an outage. *Single-rate minimum feed-in tariff, time-varying tariff available, contact us for more information. Top 5 Appliances to Use with Solar Solar batteries – is the technology there yet?